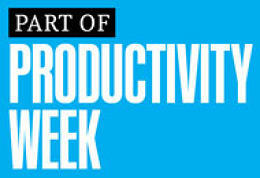 Here’s how to figure out if you’re super productive or just needlessly busy. You’re running around with a to-do list a mile long, crossing off item after item. You’re feeling super productive. But are you really being productive, or are you just being busy? Barbara Hemphill, founder of the Productive Environment Institute and an expert on time management, says checking things off a long list may simply be a way of relieving the pain of procrastination. Being productive, she says, means accomplishing those tasks that will get you closer to meeting your goals. Any other tasks that don’t help you to do so are just clutter. Being clear about what your goals are is the easiest way to tell if you’re being productive. Ask yourself in the morning what the three most important things for you to accomplish are. “You have to be proactive in your day,” says Hemphill. Jumping from task to task without clear direction or goals is just “busy work” and is likely not going to result in a productive day. Having your top three goals in front of you helps you to remain focused. “If you consistently do not get those three things done, then it’s time for some serious conversation with yourself, because there’s something going on. It’s either that what you say is important really isn’t important, or there’s some reason you’re procrastinating,” says Hemphill. Doing three things at once may make you feel like you’re being super productive, but research shows we are actually terrible multitaskers. One showed people who were regularly bombarded with several streams of information had difficulty paying attention, recalling information, and switching from one task to another, compared to those who only focused on one task at a time. Multitasking has even been shown to lower IQ. One popular University of London showed multitaskers experienced declines in their IQ scores similar to what they would have experienced if they had smoked marijuana or stayed up all night. Single-tasking, on the other hand, means focusing on one task at a time and makes you more productive by allowing you to be fully immersed in the task at hand. If your mind starts to wander to another task, Hemphill says simply writing down your thought can get it out of your head so you’re able to refocus on the priority tasks. Improving your productivity means avoiding that tendency to say yes to every task that lands on your plate. Hemphill says productive people think about the repercussions of saying yes and only take on what will help them accomplish their key goals. Avoid saying yes right away by taking some time to think it over. Ask for more information about the task–what’s involved, the deadline, the time commitment required of you, etc. “Get some real details about what’s involved and then say, Let me get back to you about this,” she says. This gives you time to think about how saying yes will fit in with your priorities. If it doesn’t fit, then scrap it and learn to say no.